On November 15th, Brand Ambassador Graciela González and On-Premise Brand Manager, Javier San Martin, participated in another Latina Meet Up Event, this time in Miami. These events gather Latina entrepreneurs, professionals, and influencers in an effort to network and engage with others in the community. This was the perfect occasion to share Luxco’s tequila portfolio, featuring El Mayor® and Exotico® Tequilas! 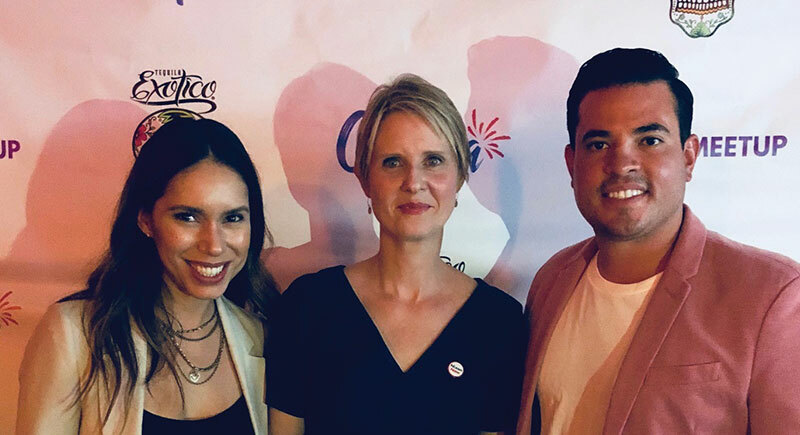 At the event, more than 300 attendees sampled El Mayor tequilas and learned more about the González family’s tequila-making process from the fourth-generation distiller herself, Graciela. In addition, guests enjoyed custom cocktails featuring Exotico Tequila. This was a fun evening of tasting our 100% agave tequilas with influencers and engaging with the Latina community!